Glassmaking in the Czech Republic has a tradition of hundreds of years and the Moser glassworks has made a bold entry in its history. Moser glassworks is considered to be the jewel of Czech glassmaking and represents top craftwork in stemware, barware and decorative glass. It is a matter of prestige to own at least one product of this unique brand. The history of the Moser glassworks began in the middle of the 19th century. A glass engraver named Ludwig Moser (1833-1916) established a small workshop and a retail shop of handmade engraved glass for the rich spa clientele in 1857. Thus, he unknowingly built the foundations of a production company that would become a sought-after commodity attracting emperors, kings, popes, political representatives and even famous celebrities. The art of his glassmaking was improved for generations until it reached today’s level of perfection. Moser glass has become a symbol of wealth, respected social status, exquisite aesthetic feeling and seriousness. The Moser glassworks is renowned for lead-free crystal, transparent colours, product design, hand-cutting and delicate engraving. 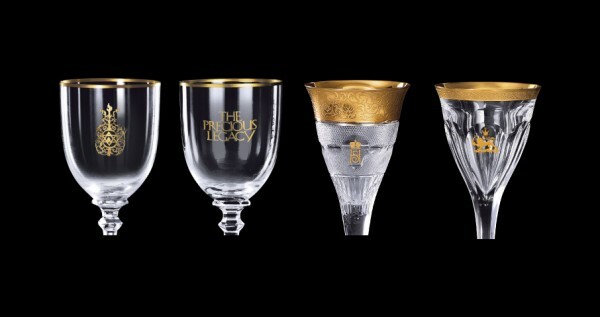 Their method of glass refining, using traditional glass techniques such as oral glass blowing, facet cutting, art engraving or decoration with gold and platinum, distinguishes Moser products from other similar products on the market. The glassworks has always cooperated with the top Czech designers who design the new products. The most popular products in the current Moser glassworks collection are probably the stemware and barware sets. Every service has a name according to its character or the name is directly connected to a specific prominent personality, place or historical era. After all, the names speak for themselves – Splendid, Lady Hamilton, Adele Melikoff, Cromwell, Maharani (one of the most richly decorated sets), Copenhagen, Maria Theresa and Pope, which is one of the most famous art creations. At present, Moser glass decorates festive boards in the palaces of the British Queen Elizabeth II, Spanish King Juan Carlos I, Norwegian King Haakon VII, Japanese Emperor Akihito and many others. You can even find it in the residences of Jordanian or Saudi rulers. The grand prize of the International Karlovy Vary Film Festival – the Crystal Globe – is also made in this famous glassworks. Moser is a brand of quality and luxury. The Moser collections represent the top craftwork of glassmakers, cutters and engravers and, even today, Moser products are still rightfully called the glass of kings.